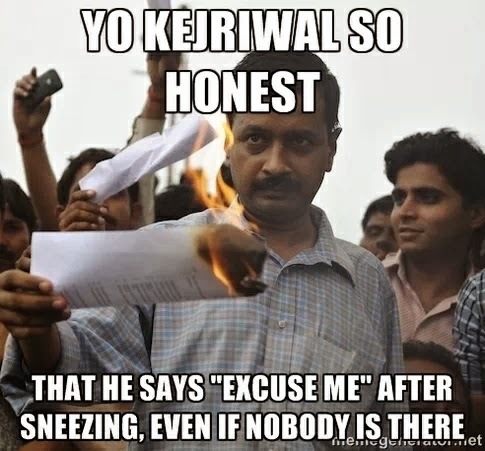 #YoKejriwalSoHonest that he is not consulting a doctor for his cough as he has not received his 1st salary as CM!! #YoKejriwalSoHonest he likes Shakira's hips. 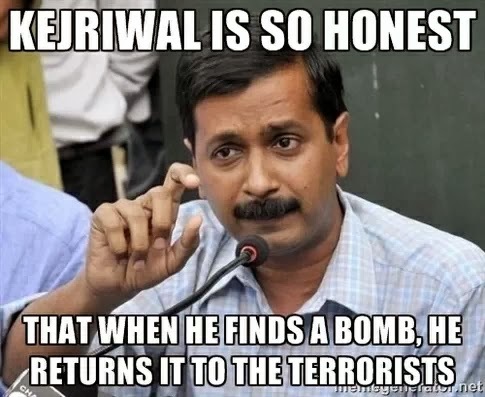 Because they don't lie. #YoKejriwalSoHonest Rihanna is in love with kejri...as she "Loves the way he lies...."
#YoKejriwalSoHonest that he has to wear old tattered & torn shirts to buy a blackberry! 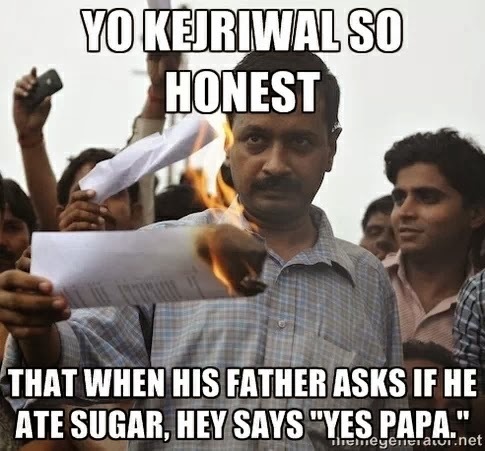 #YoKejriwalSoHonest he stopped being friends with Johnny because he ate sugar and lied to his dad about it. #YoKejriwalSoHonest that he uninstalled free anti virus in his new laptop because he needs no security. 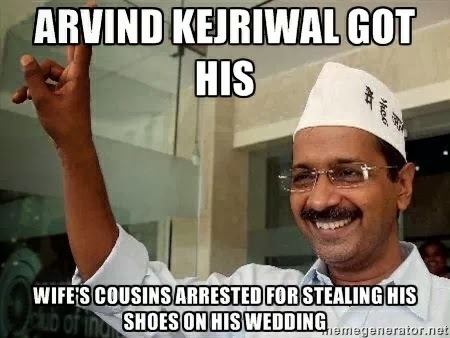 #YoKejriwalSoHonest He sent his 4gb memory card to jail because it got corrupted. 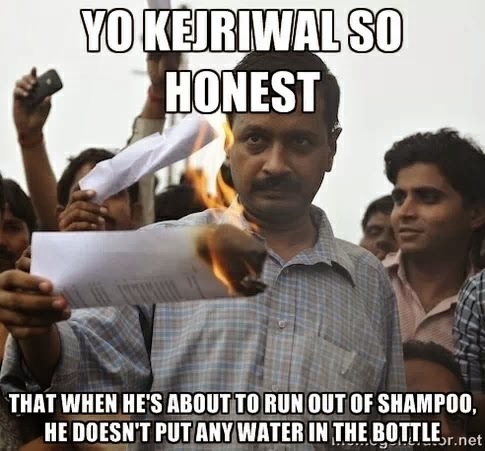 #YoKejriwalSoHonest He even pays for 'regular' water and finger bowl. 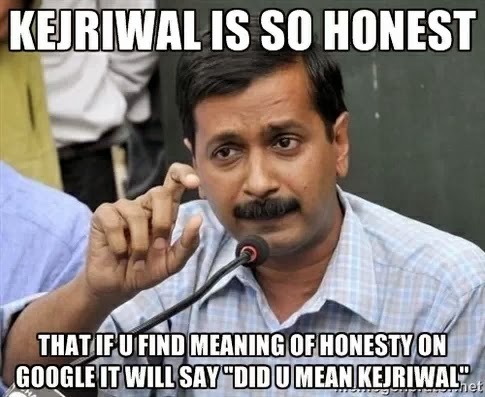 #YoKejriwalSoHonest that he reads the entire terms and conditions of a software agreement before accepting it! #YoKejriwalSoHonest aks the begger how much he needs before giving him money. 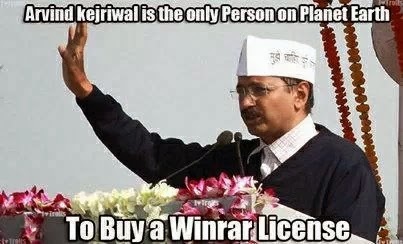 #YoKejriwalSoHonest he never uses torrents. 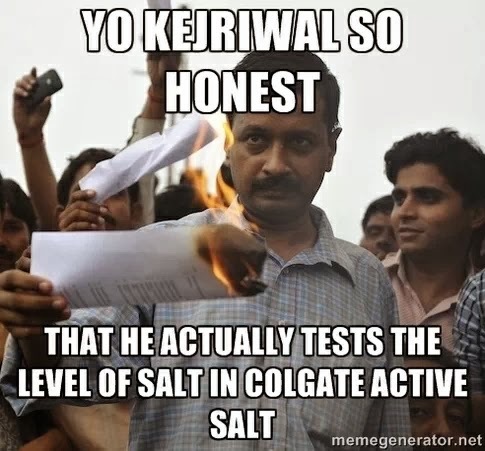 #YoKejriwalSoHonest that he counts the # of chips in his chips packet and returns the extra chips!! #YoKejriwalSoHonest ki wo apni biwi ko bargaining b nahi karne dete . 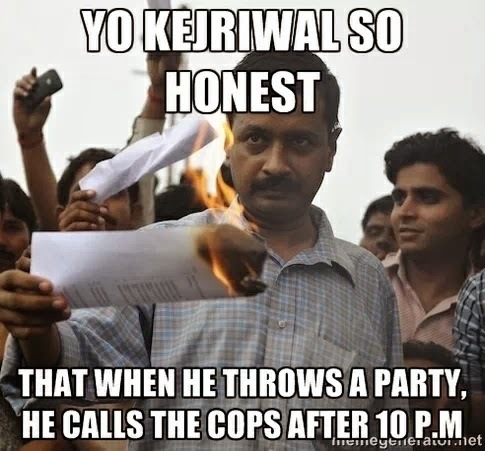 So too many tweets on #YoKejriwalSoHonest Ghaziabad Police decides to provide him with Z security from tomorrow. 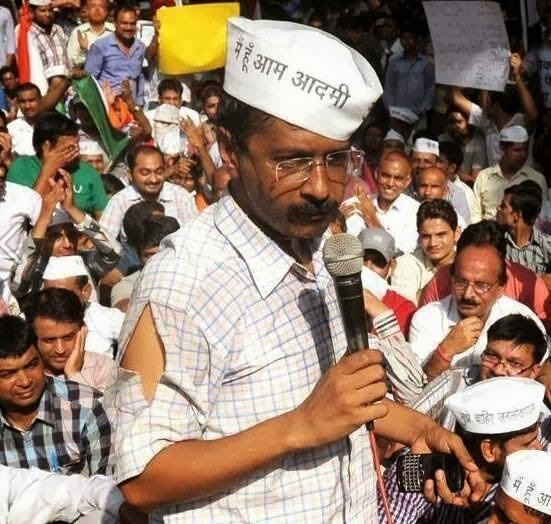 #YoKejriwalSoHonest that while playing HIDE & SEEK, he never opens his eyes while counting 1 to 50. 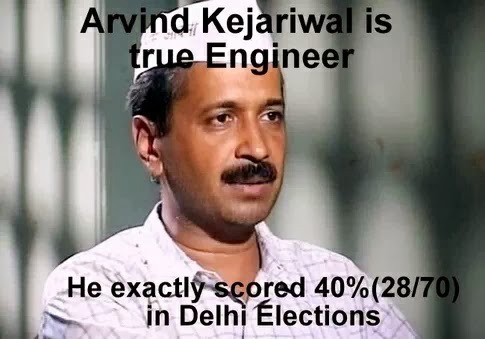 #YoKejriwalSoHonest he counted the number of jokes and found they are less than 101!